The department of mechanical engineering at Carnegie Mellon University (CMU), recently recognized Tau Beta Pi’s presence on campus since 1916 with images on its Twitter page. See one of the images below. 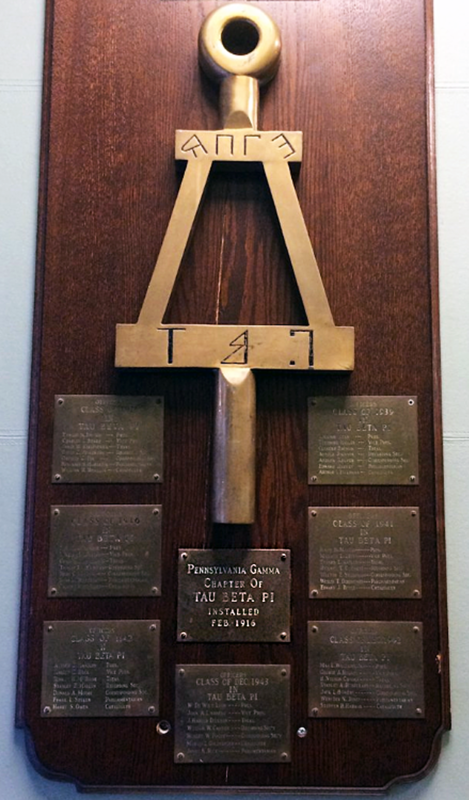 Pennsylvania Gamma Chapter established February 19, 1916. Check out the upcoming alumni gatherings of Tau Beta Pi members for February and into March. You can find the calendar with a list of all events here. A reminder that these events are open to all Tau Bates (alumni and student) from any chapter, unless otherwise stated. Find details below on upcoming events. Click here for a list of contacts for all 44 active TBP Alumni Chapters. Gayle J. Gibson, TX D ’83, has been elected as an Independent Director of the board at Aqua Metals, Inc. According to the news release, Gibson has 34 years of engineering and executive experience at DuPont and will assist efforts to commercialize Aqua Metal’s proprietary AquaRefining™ electrochemical lead recycling technology. Gibson served in many roles at DuPont, including as chief of staff and director of engineering. She earned her bachelor’s degree in chemical engineering from Texas A&M University.